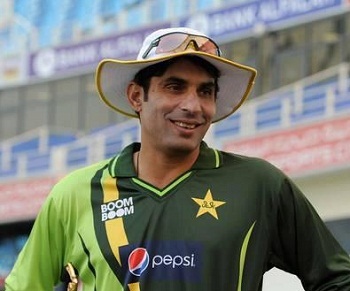 The jubilant captain of Pakistan, Misbah-ul-Haq, was pleased with the performance of his team, who beat South Africa in the second ODI and subsequently won the series. 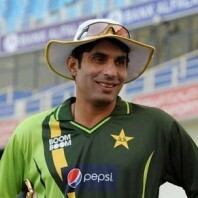 It was for the first time ever that the Green Shirts won a series against the Proteas at the opposition’s turf. Pakistan was beaten thoroughly by 4-1 in the recently concluded home series, held in the United Arab Emirates. They were outplayed all ends up in every department of the game and especially their batting let them down in the One Day Internationals. 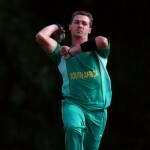 The tourists landed in South Africa to participate in the scheduled 2 Twenty20s and 5 ODIs. Mohammad Hafeez led them in the challenging T20 series which was squared at 1-1. Misbah-ul-Haq took over the command of the national squad in ODIs and they played the first game on November 24, 2013, at Newlands, Cape Town. Pakistan smashed 9-218 in 50 overs while batting first, rolled back the innings of South Africa for 195 in 48.1 overs and grabbed the match by 23 runs. “It really means a lot to us to beat South Africa in a bilateral series for the first time, especially doing it in South Africa. It was especially satisfying because Pakistan were recently beaten 4-1 by the same opponents in the United Arab Emirates. It is a young side and now they believe they can win. That was what was lacking (in the previous series)”. The Proteas were chasing the target of 263 nicely in the 2nd ODI and the fourth wicket partnership between de Villiers and Hashim Amla produced 110 runs. The first was gone at 227 after scoring 74 runs and they needed just 11 runs to win the match off the last 12 deliveries. Saeed Ajmal bowled the 44th over and gave away just two runs while taking the important wicket of Hashim Amla who scored 98 runs. 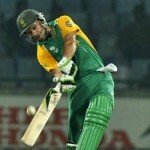 “But there is always pressure on the side batting second. We knew that we would have a chance if we had one good over so that South Africa needed more than a run a ball in the last over, especially if they had new batsmen at the crease”. The third and final ODI of the series will be played on November 30, 2013, at SuperSport Park, Centurion, and Pakistan will be anticipating a clean sweep.